Fortune 500 companies prefer Corovan for frequent onsite facilities support involving workplace moves, adds, and changes (MAC). In addition to our extensive processes of hiring, training, and safety management to bring you the most qualified and professional crew members, we also provide proven processes and resources to help you achieve your workplace goals. Corovan combines the services of a furniture supplier, installer, mover, and technology expert, all working together to deliver exceptional quality for workplace change support. The results save you time, frustration, and moving costs. 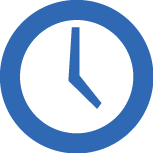 For temporary or long term facilities support, we can provide the right personnel you need to move forward through dynamic business cycles. 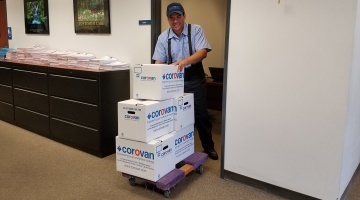 Corovan provides dedicated facilities service teams to help you manage ongoing business moves, additions, and changes within your facilities. You work with a Corovan team who is dedicated to doing things right the first time. 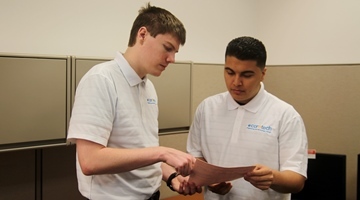 Our carefully chosen team members are responsible for becoming familiar with your facilities, your way of doing business, and your expectations. One of the biggest challenges to business productivity is managing the size of your internal staff while keeping pace with a dynamic and ever-changing workload. Corovan understands your need to execute facilities services in a fast-paced and constantly evolving business environment. 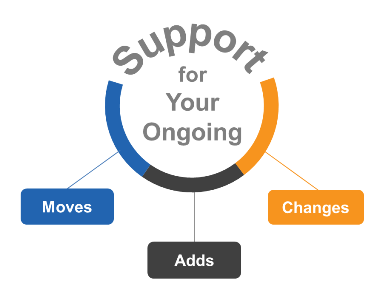 We offer scalable and flexible staffing solutions covering administrative support, move planning, and move management. The disposition of furniture can be a financial drain on an organization. Without accurate inventory information, it’s easy to store more surplus furniture than you need and purchase items already on hand. Corovan’s asset management system gives you more control, providing accurate and transparent accounting of your furniture assets in real time. Contact UsGet a free consultation from our workplace support expert.